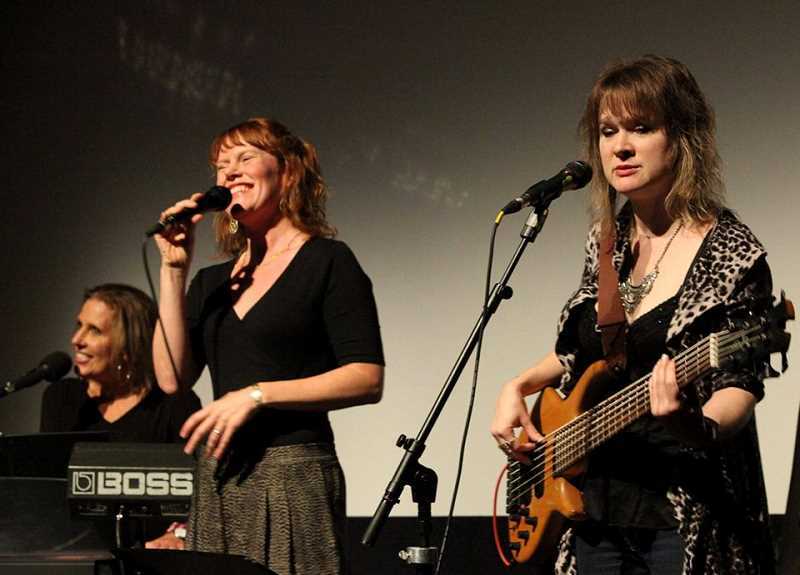 The Music Monday series of concerts held at Lake Theater and Cafe will feature Lisa Mann, Bre Gregg and Mary Kadderly Jan. 21 at 7 p.m. The women join forces to deliver a show complete with soulful performances, three-part harmony and powerful interpretation. All three performers are onstage throughout the show, creating a band with three lead singers, three songwriters and three times the energy and joy to share with the audience. A Portland musician, Lisa Mann is a Cascade Blues Association Hall of Fame inductee. She received the Blues Music Award in 2015 and 2016 for her skills on bass guitar. Originally from West Virginia, Mann's voice effortlessly straddles the line between the honey sweet warmth of the South, and the force of nature sound Mann has cultivated by mastering everything from rock to Memphis soul. Her clever blues balladry is complimented by her considerabale prowess on bass, with grooves that touch on the hallowed soil of soul greats James Jamerson and Bob Babbitt. When Bre Gregg opens her mouth you hear a rich musical history of visceral blues, deep soul and smoky jazz. Her voice is technically superb after years of study and performance, but her ability to connect with the music and her audiences make her performances profoundly intimate. With a range of musical styles that reaches from jazz and blues to R&B, country western and pop, Mary Kadderly is a singer and songwriter with a truly distinctive voice described as soothing, authentic and compelling. She recently released the single "She's All Eyes," a collaboration with writer Maura Conlon-McIvor, and was thrilled that Lisa Mann recorded her song "I Go Zoom" on Mann's latest CD "Hard Times, Bad Decisions." Guitarist Dan Gildea will accompany the trio. Tickets are $15 each or $80 for VIP seating for four closest to the stage. Buy tickets online at laketheatercafe.com/#music-mondays or by calling 503-387-3236. Lake Theater is located at 106 N. State St., Lake Oswego. Jan. 7 — Lilla Naiman starts off the Music Mondays 2019 concerts with Lilla Unplugged, an intimate show featuring her soulful, jazzy, rhythm and blues style. Tickets are $15 each or $80 for VIP seating for four closest to the stage. Jan. 14 — The Mel Brown B-3 Organ Group, aka Jimmy Mak's Signature Band. Tickets are $20 each or $100 for VIP seating for four closest to the stage. Jan. 21 — The Trifecta of Lisa Mann, Bre Gregg and Mary Kadderly. Jan. 28 — Curtis Salgado & Alan Hager Duo is sold out. Feb. 4 — Patrick Lamp Jazz Quintet; tickets are $15 each or $80 for VIP seating for four closest to the stage.